This week's Daily Record column is entitled "Legal technology predictions for 2013." Each year, I take a stab at predicting the legal profession’s reaction and implementation of 21st century technologies. And this year is no different. I’m not always correct, but I often have a good sense of the pulse of the legal profession when it comes to its perception and adoption of technology into the practice of law. So let’s start with mobile devices. Last year I predicted that lawyers’ use of tablets would increase dramatically and that iPads would be the tablet of choice. According to the American Bar Association’s Annual Legal Technology survey, my predictions were correct. The percentage of lawyers using tablets for law-related tasks in 2012 nearly doubled to 33 percent and 91 percent of those lawyers who use tablet devices preferred the iPad. I believe that trend will continue in 2013, with the percentage of lawyers using tablets nearly tripling, with iPads leading the way. And, at least 15 percent of new iPads purchased will be iPad minis. Eventually, at least half of lawyers who choose to buy iPads will prefer the iPad mini, in large part because its lighter weight and smaller size make it more easily transportable in a handbag, briefcase or suit pocket. Last year I also predicted that smartphone use would continue to increase in 2012, with iPhones in the lead, Androids coming in at a close second, and that BlackBerrys would quickly fall into disfavor. Again, my predictions were borne out, with the ABA’s survey indicating that BlackBerry use declined significantly, dropping from 46 percent of smart phone users in 2011 to just 31 percent this year. Additionally, most lawyers who stopped using the BlackBerry switched to the iPhone, with iPhone use increasing from 31 percent in 2011 to 44 percent in 2012. My prediction regarding Android use was a bit off, with Android use increasing only 1 percentage point, from 15 to 16 percent. I expect that these trends will continue in 2013, with BlackBerry use continuing to decline. During that same time, Android use will increase by at least 10 percent, as will iPhone use. Next up, social media. Last year I predicted that the percentage of lawyers using of social media would remain relatively stagnant, with some lawyers abandoning their accounts and others jumping into social media for the first time. The ABA survey’s results supported this, with the percentage of lawyers using Facebook increasing to 38 percent, which is only a 4 percent increase from 2011 to 2012. Similarly, the percentage of lawyers reporting that they had a LinkedIn presence was 96 percent, representing only a 1 percentage point increase from 2011. Once again, I predict that social media use will largely plateau in 2013. The only wild card is Google Plus. Last year I predicted that lawyers’ use of this social network would begin to increase in late 2012 and it’s unclear to me whether that is actually happening. That being said, Google Plus appears to be gaining traction and it will be interesting to see how it develops in 2013 and whether it will be of any benefit to lawyers. Finally, as I’d expected, cloud computing use by lawyers increased slowly in 2012, with 21 percent of respondents to the ABA’s survey indicating that they used cloud-based software — an increase of only 5 percent from last year. Similarly, the cloud computing backlash from ethics committees that I’d expected also occurred, with the issuance of the Massachusetts Bar Association’s Ethics Opinion 12-03, which requires Massachusetts lawyers to obtain client consent prior to using cloud computing platforms to store confidential client information. That being said, I also predicted last year that in mid-2013 cloud computing use in law firms will begin to show a marked increase and I stand by that prediction. The reason for the increase is simple: lawyers are becoming more familiar with cloud computing technology. Their concerns regarding security risks are slowly dissipating, while the many benefits offered by cloud computing — affordability, convenience, flexibility, secure client communications portals, and built-in back up and disaster plans — are beginning to outweigh any perceived security risks. As this shift in perception occurs, lawyers will increasingly take advantage of cloud computing services and the many benefits that they offer. So, those are my legal technology predictions for 2013. Only time will tell if I’m right or if I’m wrong. But either way, it’ll be interesting to see what the next year brings. Join me at the "Cloud Computing for Lawyers" Google Plus community! Stay on top of legal cloud computing issues and developments. 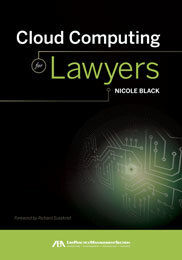 Share your thoughts on how cloud computing will be implemented in the legal field. Analyze the way that cloud computing will change the way that lawyers do business and run their firms. 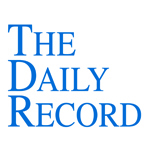 This week's Daily Record column is entitled "Legal ethics and retention of electronic data." Fax machines are just one of the once familiar technologies that many businesses are now abandoning in favor of scanning, mailing or sharing digital documents via online platforms. Not surprisingly, the more conservative legal and financial industries are two of the last holdouts when it comes to faxes. Even so, many lawyers are beginning to embrace the convenience and affordability offered by the concept of a paperless office. However, doing so can raise an assortment of ethical issues, since the confidentiality of client information must always be maintained, regardless of the format in which it is stored or distributed. The Committee of Professional Ethics of the New York State Bar Association recently addressed issues of client confidentiality and alternate methods of data storage in Opinion 940 (Oct. 16). In this case, the inquiring attorney asked two questions: 1) Whether a law firm may use tape backups containing confidential client data, where the tape backups are stored offsite by a third party, and 2) are electronic copies sufficient when the New York Rules of Professional Conduct require an attorney to maintain certain records or must the attorney retain the paper originals? Next, the committee addressed the issue of whether a lawyer’s duty to maintain certain types of records for seven years pursuant to Rule 1.15(d)(1) was met by the retention of electronic copies. The committee explained that the answer depended on the types of records at issue and then identified certain documents which should generally be retained in their original paper form, including wills, deeds, contracts, promissory notes and some bank records. So, the bottom line is that in most cases retaining documents as required by Rule 1.15(d)(1) in electronic form is ethical. Likewise, it is ethical to store confidential client with a third party, whether on tape backups or otherwise. But prior to outsourcing the storage and maintenance of client data to a third party, lawyers must ensure that they have a basic understanding of the services and technologies provided by the provider and must exercise due diligence in researching the provider and the services provided.